It is like a dream comes true. Vishvet Foundation is providing this opportunity for you to have an experience of dreamy days with open eyes. Switzerland is one of the richest countries in the world. 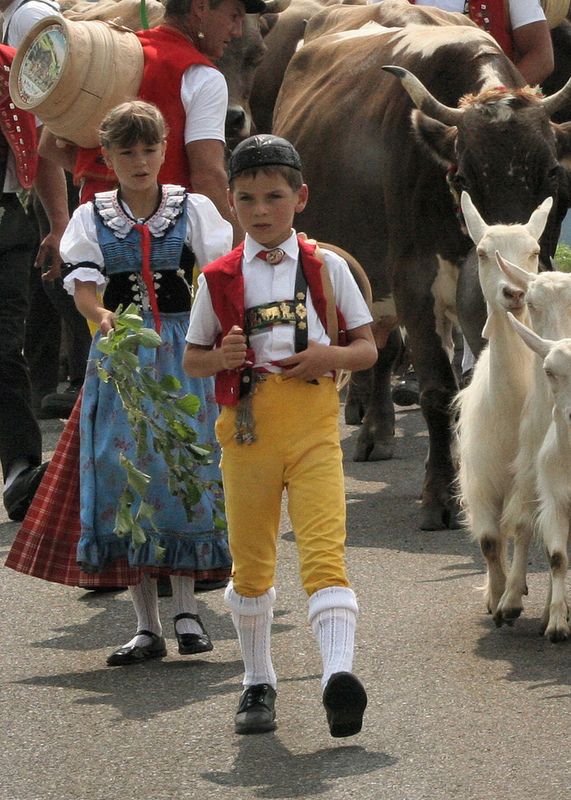 Switzerland showcases three of Europe's most distinct linguistic and cultural regions: German, French, and Italian, to which the Romansh-speaking valleys are added. Switzerland's ecosystems can be particularly fragile, because of the many delicate valleys separated by high mountains, often forming unique ecologies. Country’s business ettiquettes and work values are world famous and definitely you will love to learn from there while living at Switzerland. No other program will give participants to enjoy skiing in winter at Mountain area. This summer and winter excursion program is for above 6 years old participants who like challenges in life. This is a true leadership program in which education, adventure and cultural exchange activities will be a part of it. Participants will learn discipline, value of time management and creative attitude in the field of work and study. Will you not love to be a part of it? 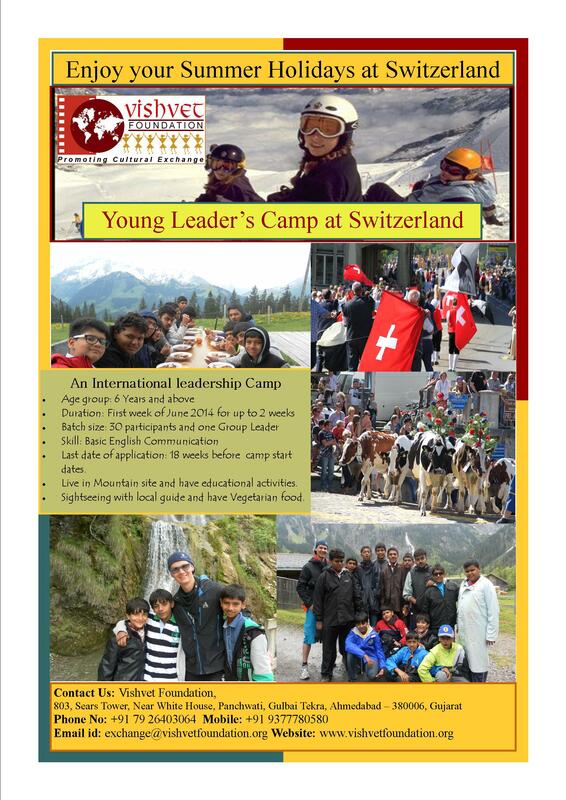 Summer Program Poster - "Young Leaders Camp at Switzerland 2015"
Summer Program Brochure - "Young Leaders Camp at Switzerland 2015"
Summer Program Schedule - "Young Leaders Camp at Switzerland 2015"
Program Brochure - Winter "Swiss Adventure & Cultural Exchange Program 2015"
Program Poster_Winter "Swiss Adventure & Cultural Program 2015"
Program Schedule - Winter "Swiss Adventure & Cultural Program 2015"
Vishvet Foundation Group at Summer 2013 Program (Click Here) - Video "Young Leaders Camp"
Winter Ski Program (Click Here) - Video "Swiss Adventure & Cultural Program 2015"